Here are some interesting facts about Cleopatra. Hope they’re what you’re looking for! Cleopatra’s full name was, Cleopatra VII Philopator. She was born in 69 BC. She was the last pharaoh of Ancient Egypt and died in 30 BC. Cleopatra was of Macedonian Greek origin and her family came to Egypt when Alexander the Great invaded. However, unlike her ancestors, Cleopatra learned to speak Ancient Egyptian alongside her first language, Greek, and ruled as the reincarnation of the goddess, Isis. She had a relationship with the Roman ruler, Julius Caesar, and they had a son called, Caesarion. The link between Rome and Egypt made Cleopatra’s reign much stronger. From 44 BC to 30 BC, Cleopatra and Caesarion ruled Ancient Egypt together. Julius Caesar was killed by his enemies in 44 BC. Cleopatra sided with Mark Antony against Caesar’s son and legal heir, Gaius Julius Caesar Octavianus. Cleopatra and Mark Antony had a relationship and they had three children. Mark Antony’s troops were defeated by Gaius Julius Caesar Octavianus at the Battle of Actium. Following the defeat both Mark Antony and Cleopatra committed suicide. She was just 39. Many people think that Cleopatra killed herself by allowing a type of poisonous snake called an asp to bite her. Cleopatra’s son, Caesarion, briefly ruled Ancient Egypt on his own, before he too was defeated by the forces of Gaius Julius Caesar Octavianus. Following Caesarion’s death Egypt became a province of Rome. It was known as Aegyptus. Cleopatra is often shown to be beautiful in movies, books and plays. However, historians have unearthed statues and coins that show her with a long, hooked nose and a masculine face. Perhaps Cleopatra wasn’t actually as beautiful as the legends suggest? It is often said that Cleopatra bathed in milk in order to preserve her skin and keep her looking youthful. Again, it is uncertain whether or not this actually happened. Thanks, Tkirah. Hope your project goes well. you helped me with my essay. thanks! 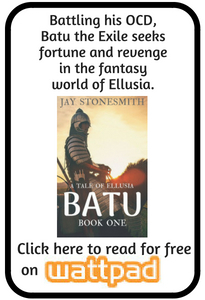 I think I’ll keep using this site for further essays and projects. OMG THIS WEBSITE IS AMAZBALLS!!!!!!!! Thanks for letting us know. Glad you found what you were looking for! Glad to hear it, Jameela. Thanks for letting us know! Thanks, This helped me a lot on my presentation. Thanks! It’s one of the LEGO Collectible Minifigures, series 5 I think. 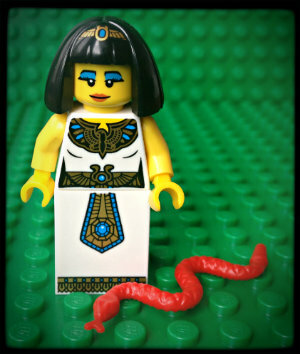 Really like this website, the lego cleopatra is sooo cool, I love lego too!!!! Anyway thanks 4 the information! I LOVE THIS SITE ITS GiVEN ME A WHOLE BUNCH OF FACTS AND I NEEDED THEM FOR A PROJECT love em’ Which is Awosome 🙂 ;)!!!!!!!! It gave me information about my homework.